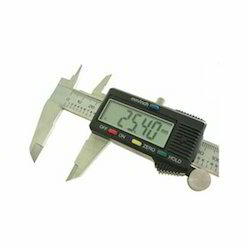 Offering you a complete choice of products which include micrometers, refractometers, dial gauges, vernier calipers, digital caliper and electronic tachometer. For determining the concentration of oil in water emulsions and transparent solutions, such as machine shop coolant. Maintaining the correct mixture in coolant systems is vital to ensure optimum performance from cutting tools. To protect the machine and workpiece from corrosion and to reduce the risk of health hazards arising from incorrect concentrations of water soluble oils. To economise the use of water base cutting fluids and grinding fluids. Specifications: range ND: 1.333 -1.356 Bx:0 - 15%. Eyepiece magnification: x11. 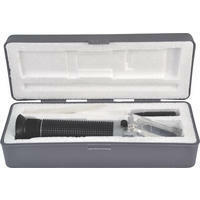 Telescopic lens magnification: x4. Accuracy: /-0.0003 /- 0.2%. Lattic value:0.0005 0.2%. 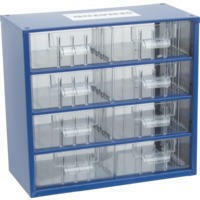 Supplied in high quality fitted metal case complete with calibration screwdriver and operator manual. 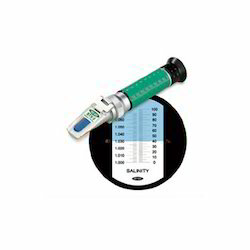 Kennedy® plunger and lever type dial test indicators (DTI) provide accurate and precise repeatability of measurements or manufacturing tolerances. All have clearly graduation dial faces with black oxidised indicator. 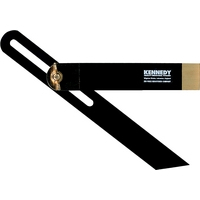 The Kennedy® 'Smile-Dial' plunger type dial gauge has an easy to read 58mm (2,1/4") diameter dial with a matt finish chromed housing and black oxidised limit hands. The mechanism is jewelled to ensure a smooth precise action. 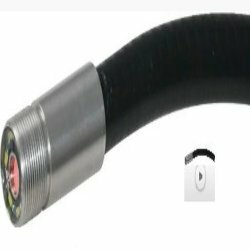 Fitted to the back of the 'Smile-Dial' is an off-set lug with 1/4" inside diameter and a 5/16" diameter stem fixing. Manufactured to BS 907. Inside, outside, depth and step reading. 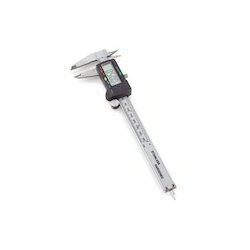 Dual reading scale (metric and inch) with 14 bevelled vernier scale. Knurled locking nut. 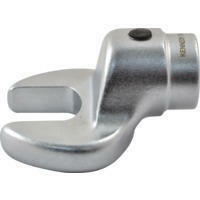 Manufactured from hardened stainless steel with satin finish. Graduation: 0.02mm & 0.001 inch. Tolerance: plus/minus 0.03mm & 0.001 inch. 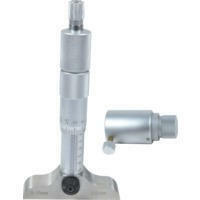 For precision measurement of internal, external and depth dimensions. Accuracy plus/minus 0.04mm (0.0015"). Supplied with 2 batteries in plastic storage case. Precise red LED light source (laser beam) together with a reflective strip, non-contact measurements can be made safely up to 40cm (153/4?) from the target. For measuring in rpm and rps. 100 to 30000rpm/1.7 to 500rps. 6 digit clear LCD display with optional back light. Data hold function. Auto power ?OFF? & low power indicator. Battery operated: DC1.5V 3x AAA (included). 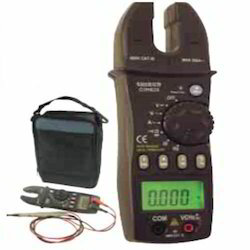 Open Jaw Digital Multimeter Large digits, duty cycle function, relative measure. 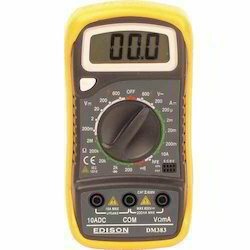 Features include continuity, diode, auto ranging, reading/peak hold, back light, auto power off, overload indication, low battery indicator, tilt stand/hanger. Voltage max: 750V AC, 1000V DC. Safety rating: Cat III 600V, Cat II 1000V. 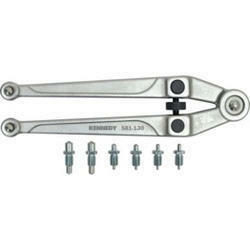 Forged in chrome vanadium steel, the wrench is adjusted by turning the centre screw. It can be used on nuts with bolts bored on the face and is supplied with 8 interchangeable pins which are double round ended for nuts with top holes. Capacity: 20-100mm. Backed by the Kennedy reputation for quality. 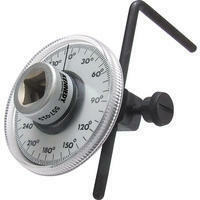 The gauge has an easy to read 360° scale in 2°, 10° & 30° increments and has an Indicator etched into the clear plastic. An adjustable arm to keep the angled scale stationary, with a long and short side for flexibility in positioning against components. Base Mounted Type (Flanged) The straight line action which gives these plunger-style clamps extremely high loading capacities whilst maintaining compactness. These clamps also lock in the open position which allows a ‘pull’ to be exerted (for instance, in use with foam moulds). All models have tapped spindles for use with adjustable spindles. 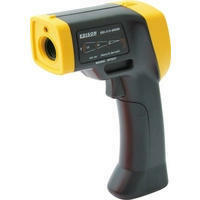 IRT537 A high resolution infrared laser thermometer suitable for a wide range of industrial applications, HVAC and automotive diagnostics. The laser targeting enables accurate readings by guiding the user to the optimum measuring distance. Ideally suited for work in confined spaces and where accuracy is required such as on circuit boards, air-con units or in engine compartments. Simply aim at the target object, pull the trigger mechanism and read the current surface temperature from the LCD display. If necessary the laser can be activated via the laser button for more accurate targetting. 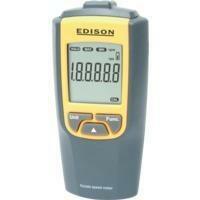 Temperature is displayed on back-lit LCD display and features hold function for ease of use. Measurement range: -20C to 537C. Accuracy: -20C to 50C /- 2.5C 51C to 537C /-(Reading x 1% 1C). D/S ratio: 12:1. Emissivity: 0.95. Celsius/Fahrenheit display selection. Back light display. Power source: 9V battery. Average/maximum/minimum/maximum-minimum mode selection. Complies with EN61326:1997/A1:1998/ A2:2001/A3:2003. Dimensions (L x W x H): 162 x 56 x 190mm. Nett weight: 270g. Sprung Straight Jaw Circlip Pliers - External Manufactured from specially selected steels. 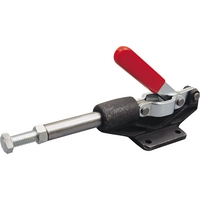 The dual material grip handle design allows the user to apply the greatest force with the minimum amount of effort. These are manufactured with a polypropylene core for strength and durability with a soft thermoplastic outer for non-slip comfort grip. Double polished head and joint. Induction hardened cutting edges. Especially suitable for production line environments where repetitive work is undertaken. Chrome vanadium steel blade with moulded dual grip handle for improved user comfort allowing more torque to be applied. Fixed blade with a quick release magnetic chuck. Overall length: 185mm. Blade length: 80mm. Polished chrome plated body. 3-way ratchet. Quick release chuck. 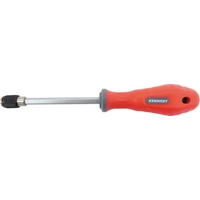 ABS plastic/lacquered wood handles - 440mm has fluted handle for extra grip. Chrome vanadium steel bits. 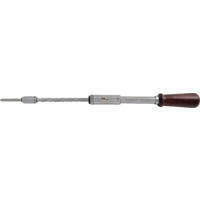 Supplied with crosspoint and flared screwdriver bits. A range of folding pliers with ‘pen-knife’ style blades. Featuring knives, can/bottle openers, metal/wood files (single and double cut), screwdrivers, chisels, saw blades, rules, wire benders, fish scalers, hook removers etc. 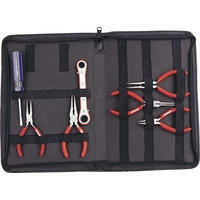 Ideal for maintenance engineers, DIY enthusiast, fishermen and hobbyists. Manufactured from the finest quality steel. 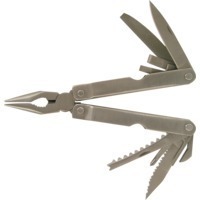 MTS1015: 10 Blade - 15 Function All stainless steel construction, easy to open blades. Folds down to a compact 25 x 100mm. 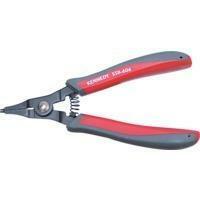 Plier overall dimensions: 50 x 163mm. Functions: 60mm super sharp knife blade, 60mm scalloped edge knife, 5 x 22mm screwdriver blade, 7 x 25mm screwdriver blade, 2 x 20mm flat screwdriver, awl/punch tool, 65mm single/double cut file, No.0 x 25mm crosspoint screwdriver, inch graduated rule with fish descaler and hook remover, tin opener, long nose pliers with flat and curved serrated jaws, bypass action wire cutters. For determining the concentration of oil in water emulsions and transparent solutions, such as machine shop coolant. Maintaining the correct mixture in coolant systems is vital to ensure optimum performance from cutting tools. To protect the machine and workpiece from corrosion and to reduce the risk of health hazards arising from incorrect concentrations of water soluble oils. To economise the use of water base cutting fluids and grinding fluids. Specifications: Range ND: 1.333 - 1.356. Bx: 0 - 15%. Eyepiece magnification: 11x. Telescopic lens magnification: 4x. Accuracy: ±0.0003 ±0.2% Lattic value: 0.0005 0.2% Supplied in fitted plastic case complete with calibration screwdriver and operator manual. Proven value and success based upon the low energy required to cut more holes accurately with extended tool life. 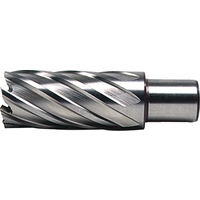 The cutter is designed to enable a faster feed rate with lower cutting resistance, resulting in consistency of finish and tolerance. Sizes available: 2 - 52mm diameter short and 13 - 52mm diameter long series. 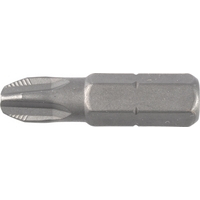 Short Series Shank diameter: 19mm/3/4”. Depth of cut: 25mm. Bore: 6mm. 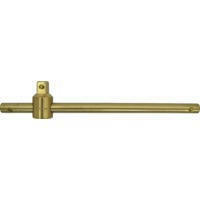 Overall length: 60mm. 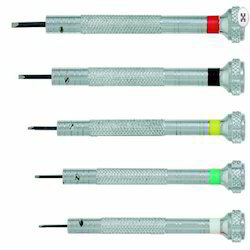 Looking for Precision Equipments And Tools ?